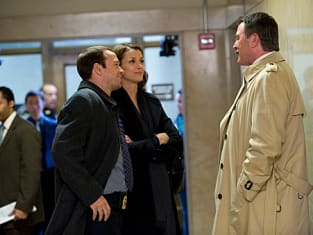 Blue Bloods Review: "Little Fish"
“Little Fish” was a strong way to kick off a move to Wednesday nights. I love episodes that focus more on Frank. Tom Selleck delivers in every scene, but he was especially powerful when Frank informed the mother that her son’s body was finally found after 25 years. With few words, you could feel his empathy for this woman’s pain and his sense of responsibility that the answers had taken far too long to find. My only complaint about that storyline is that I wish we had gotten more answers about the actual crime. We know the boy was hit in the head with a hammer... but why. Although Henry’s scenes were brief, I like the way he was used to remind the audience that what Frank's going through isn’t unique. Sometimes cops are haunted by the cases they can’t close. It’s the losses that keep you up at night. I always wish Reagan family dinners were longer. As the adults debate the cases they’re working on and the laws that both protect and endanger the people involved, Linda is left to stumble through a poor explanation of what is a call girl when her sons grow curious. As Linda tries to hide the truth, the results are hysterical. Relating call girls to cell phones will only have her sons thinking everyone is a call girl. The truth may have caused less trouble and embarrassment. I didn’t find Danny and Jackie’s murder case all that enthralling, but I certainly found their witness frustrating. Jolene turned Vega in for murdering her friend, but when he found out she was the witness against him, she changed her story and refused to let the police protect her. What sense does that make? Vega strangled Anna because she talked to the police. Does Jolene think he’ll suddenly forgive her because she changed her mind? I doubt it. Police protection seems a lot safer than hiding in your apartment alone. I’m guessing we’re going to see more of Detective Sonny Malewsky. His one scene certainly implied he may have been involved in Joe’s death. We’ll just have to wait and see where that leads. 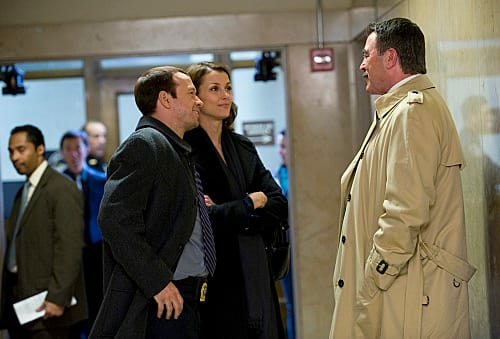 After a long winter hiatus Blue Bloods is back. Did you miss this hybrid cop/family drama and will you follow it to Wednesday nights? It's the losses that keep you up at night. Permalink: It's the losses that keep you up at night. Jack: What's a call girl? Linda: That is a girl who talks on her cell all the time. Jack: So, kind of like Aunt Erin?